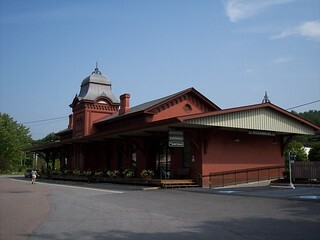 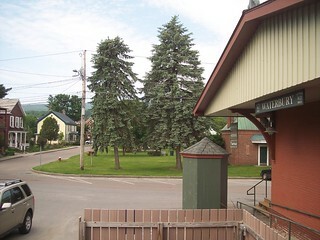 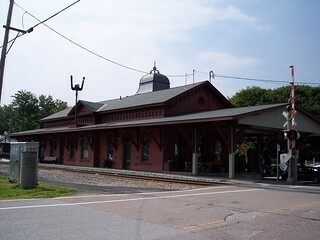 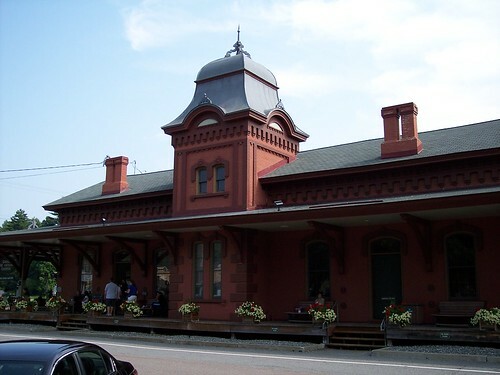 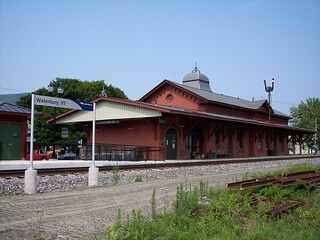 The old station building in Waterbury is now used as a visitor center and coffee shop. 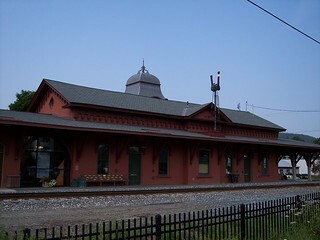 A freight train rolls past the station. 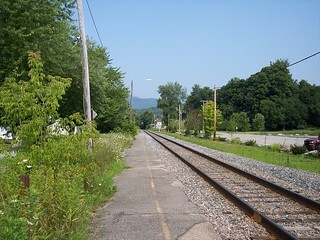 The old platform extends north of the station, but this section of platform is no longer used.